Do your fishing dreams take you to the mecca of wild Trout fly fishing with 12 blue ribbon rivers within an hours drive? Then this is the place for you! Walk right across the road to fish the Henry's Fork of the Snake River, famous for its Steelhead fishing. 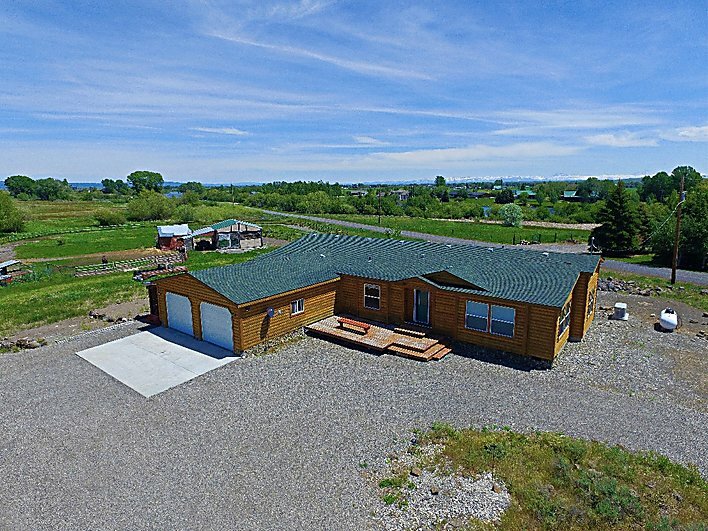 Your log-sided home sits on 6 acres with a pond backed up to BLM Land. The estate boasts a whopping 2600 square feet of living space with a chef's kitchen that features a large island and prep sink, a 48-inch GE Monogram cooktop grill/griddle with 4 burners. New GE profile appliances have been added to the home including a double wall oven, dish washer and refrigerator/freezer. The master suite offers gorgeous views in addition to a large soaking tub, a separate shower and a walk-in closet. There are multiple rustic outbuildings along with a 2 car garage and a corral for your horses. Come to St. Anthony, Idaho and live the fisherman's dream! Contact Hamilton Realty for your private showing today at 208-624-4382. Priced at $349,000.